Is there anything more romantic than spending the night with your loved one under the Italian starry night sky? Yes, an overnight stay in the minimalistic StarsBOX where you are completely immersed in nature thanks to an easy-to-open convertible roof and a comfortable mattress with duvet. Simple, without filters, but with luxury and privacy. 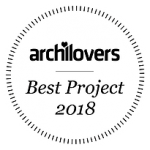 The StarsBOX is an original and fully Italian design, awarded as Best Project 2018 by Archilovers. It does not look like anything else out there. 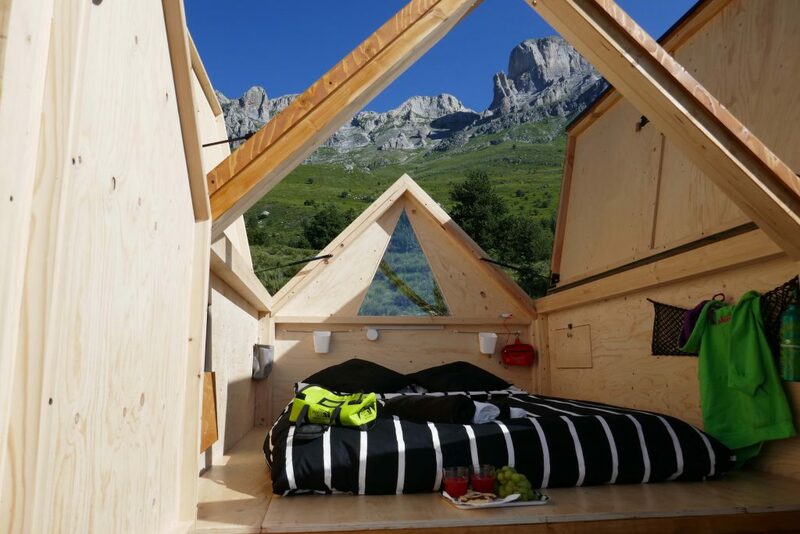 It’s an elevated off-ground wooden box, double bed-sized, featuring a peculiar roof that can be opened to look at the stars while lying inside. 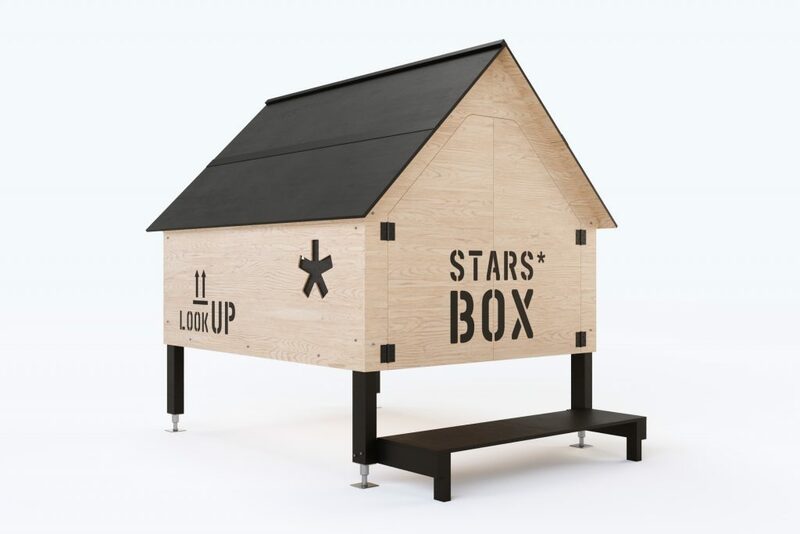 The StarsBOX design is simple yet deeply evocative, inspired by the temporary huts built by the shepherds of the Ligurian Alps to draw attention to a contemporary fruition of natural environments. An iconic and minimalistic off-ground design that unaffectedly sneaks into the natural surroundings in total discretion. 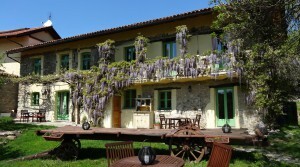 The StarsBOX in the lavender field is only offered for rent for 1 night at a time in combination with a stay in one of the studios or apartments, so that you can also enjoy the luxury that these accommodations offer (including shower and toilet) and make use of the jacuzzi and panoramic outdoor kitchen. The StarsBOX is located in a lavender field 50 meters from the road (accessible via a easily accessible forest path) and 250 meters from Agriturismo Verdita. Dogs are not allowed in the StarsBOX and may not be left alone in one of the apartments . We will arrive around o’clock. For years we dreamed of an outdoor bedroom in our lavender field. Our inspiration? 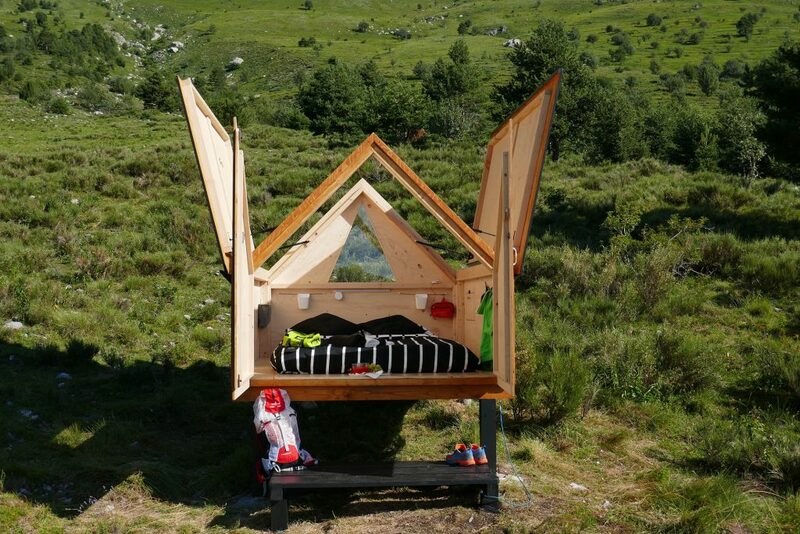 The Nullstern hotel : it consists of a floor, bed and 2 bedside tables on a mountain under the starry sky. We also wanted to offer our guests such a unique experience. But we found the concept a bit too much "open and exposed", but what then? I didn't find a suitable alternative until the day I saw IT appear on Facebook. 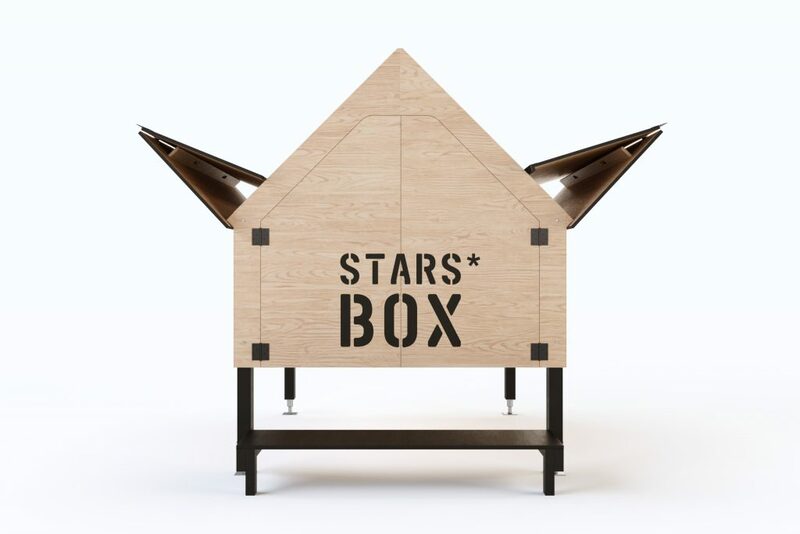 The perfect design: the StarsBOX from Officina82, a young architectural firm from our own region (Piedmont, Italy). Of course I contacted immediately, but there was a problem. 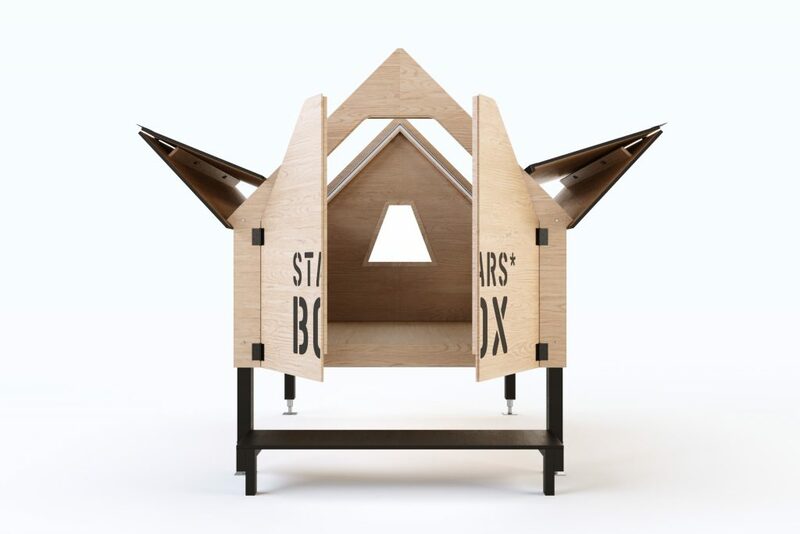 This year they want to limit the number of StarsBOXs to 15 and ... we were the 16th who wanted to order one. We were allowed to register on the waiting list, but the chances were small. And suddenly - we had already given up, because the deadline had actually already passed - it finally came. The phone call ! People from Puglia found the transport troubles too difficult to handle and had dropped out. And that's how StarsBOX No. 15 will be here in a month! We're so excited !! The funny thing is that during their visit the StarsBOX inventors told me that they too were inspired by the Nullstern hotel ... and so the circle is complete. We will be the first to spend the night in it of course. And after that, it's up to you. You can book from now on.